Our 2 youngest boys share a room . . . it's really mostly Cayden's room as Kyle still sleeps with us, but the hope is that they will soon REALLY start sharing this room. Their bedroom has 1 window which has been treated with a 2-inch vinyl blind that stays closed 95-100% of the time. 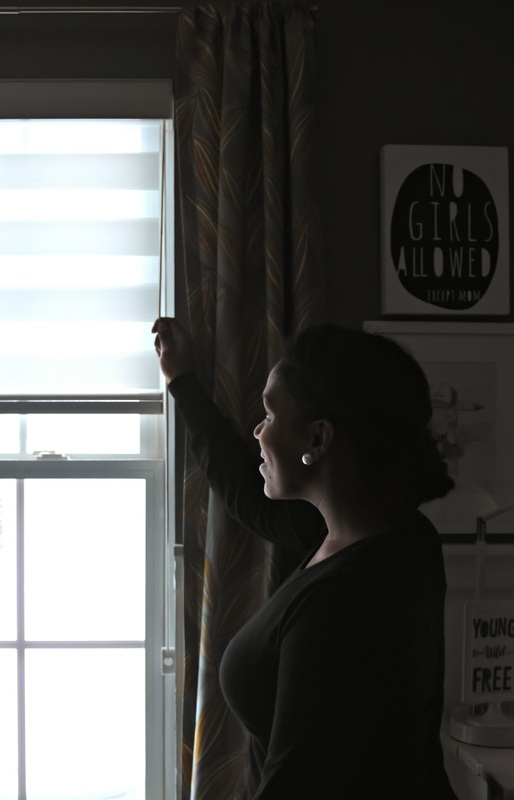 This is a sponsored post for Blinds.com, I received a premier flat sheer shade for this bedroom update in exchange for this review. All opinions expressed are 100% mine. It stays closed because this window opens into our neighbors driveway and side door (which they use as a main door). Like most people, we like our privacy and respect theirs, so the blinds are usually closed. I am someone who loves natural sunlight, I would have every blind/shade in our home open to the top of the window at all times if I could, unfortunately, my husband is the opposite. He likes our home to be closed up like a fortress, it's a struggle for us to find the balance. 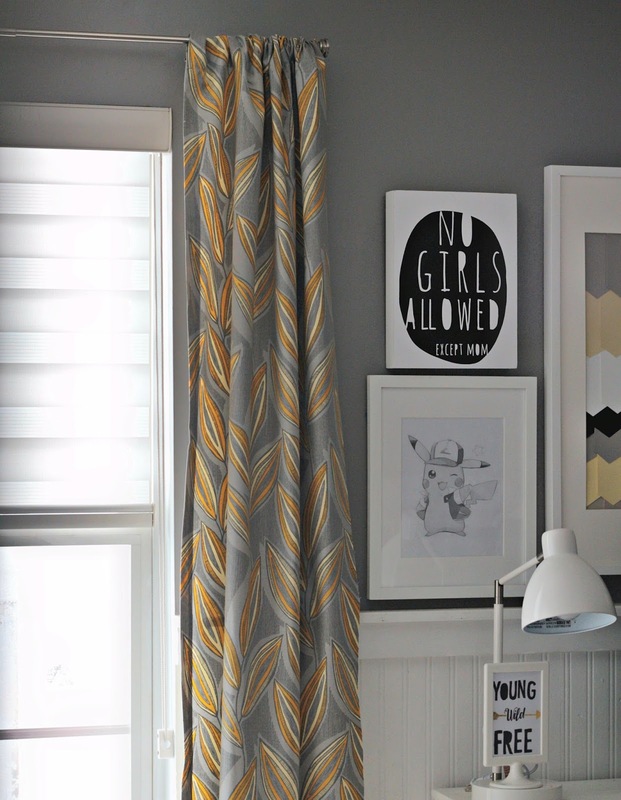 When the boys' 2 inch vinyl blinds started looking dingy and dusty and were falling off of the bracket, I decided it was time to look into some other window treatment options. I considered different types of custom shades, curtains and draperies . 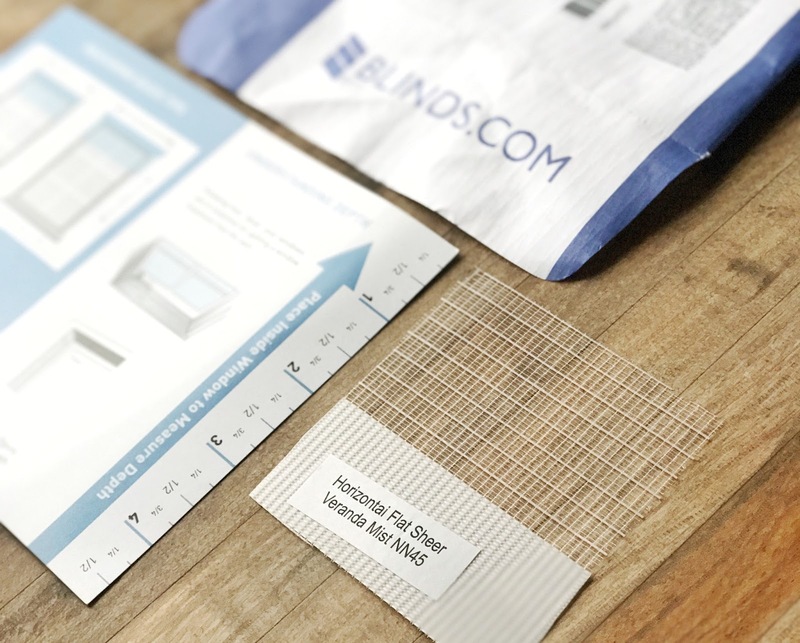 . .
but, because I prefer something light filtering, I visited Blinds.com to check out their large selection of shades. 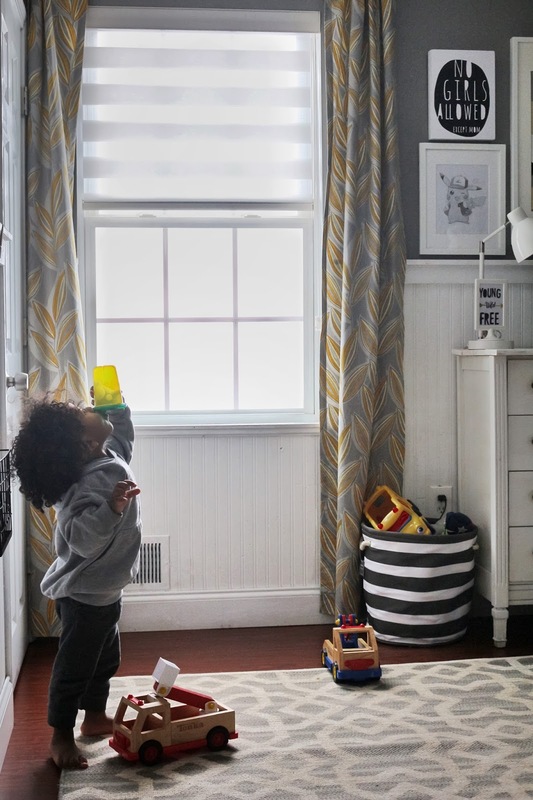 To address the issue of natural light and privacy, the problem is that most blind/shades offer one or the other, but the Blinds.com Premier Flat Sheer Shade offer both and I knew that it would be perfect for my boys' room. 1) Privacy: So the neighbors can't see in, and the boys aren't staring out. 2) Light Filtering: I love the fact that the shades can be closed and still filter a good amount of light. 3.) 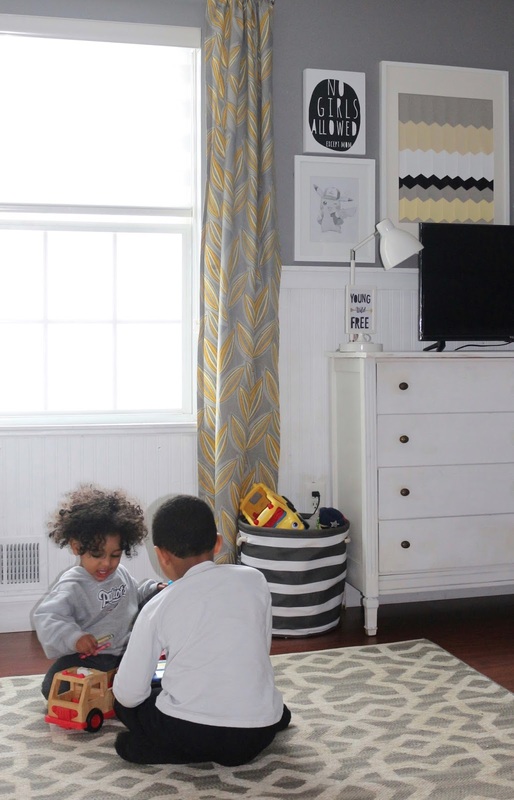 Fun and Modern looking: the design of wider horizontal panels gives the space a modern feel and is kind of fun for a kids room in my opinion, because when it is open, it gives the appearance of stripes! The color I chose was a light filtering Veranda Mist. 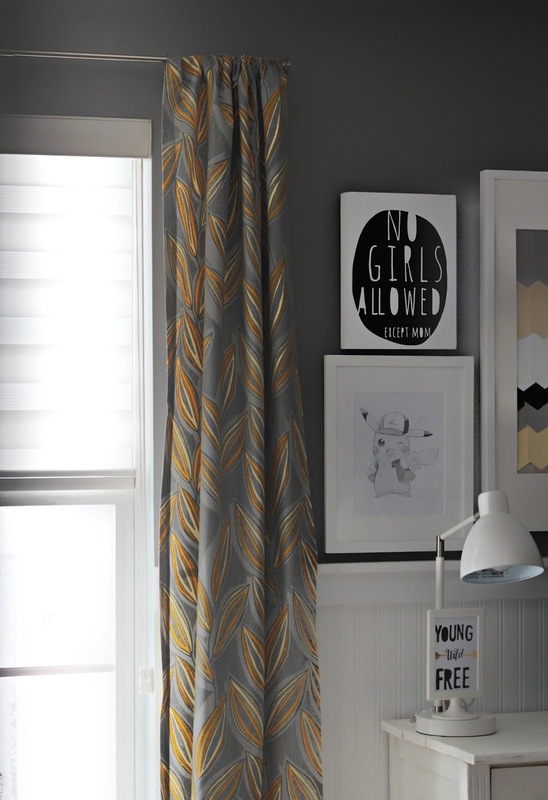 It is a very light gray, which blends nicely with the color scheme of my boys' room. The shade was super easy to install and Blinds.com even offers a video on installation. 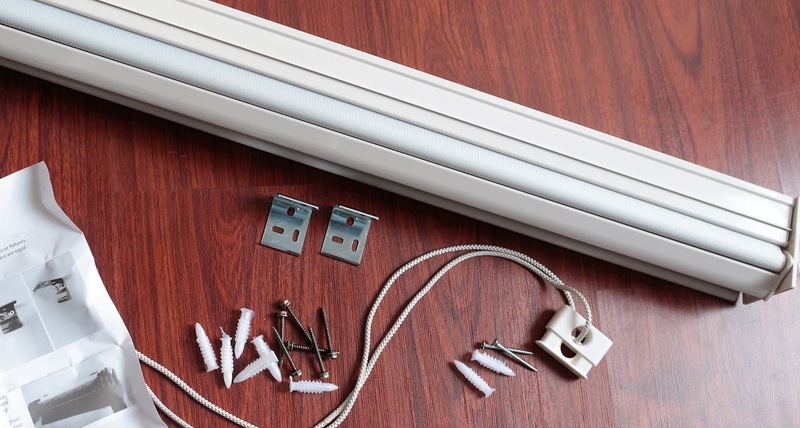 It comes with two brackets, screws and anchors and all you have to do is pop the shade right into the brackets until they click! I'm talking almost-instant gratification! 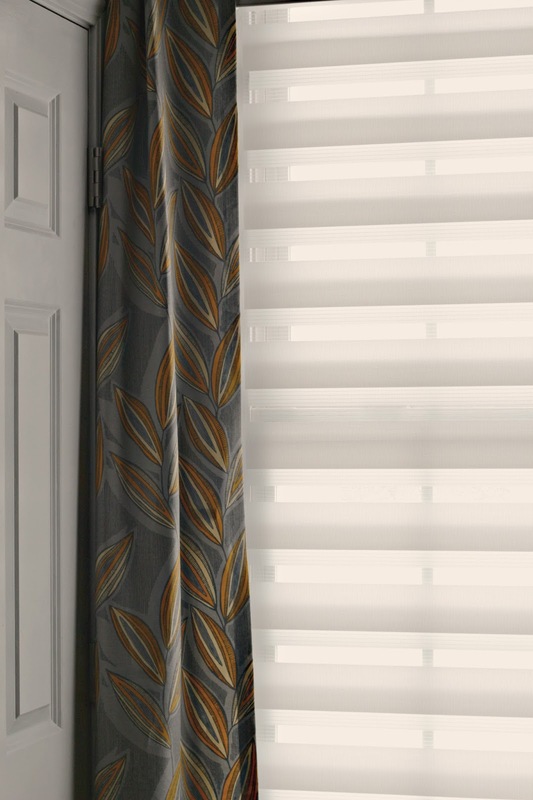 The shades come with a sort of pulley system that screws into the wall and allows you to lift and lower the shades easily. For the curtain panels, I decided on a fun graphic print, totally out of my comfort zone, but for some reason I've been stepping farther and farther out of my neutral safe house. I love how it coordinates with the new shade. No worrying about the kids playing near the blinds, and no dangling cords. 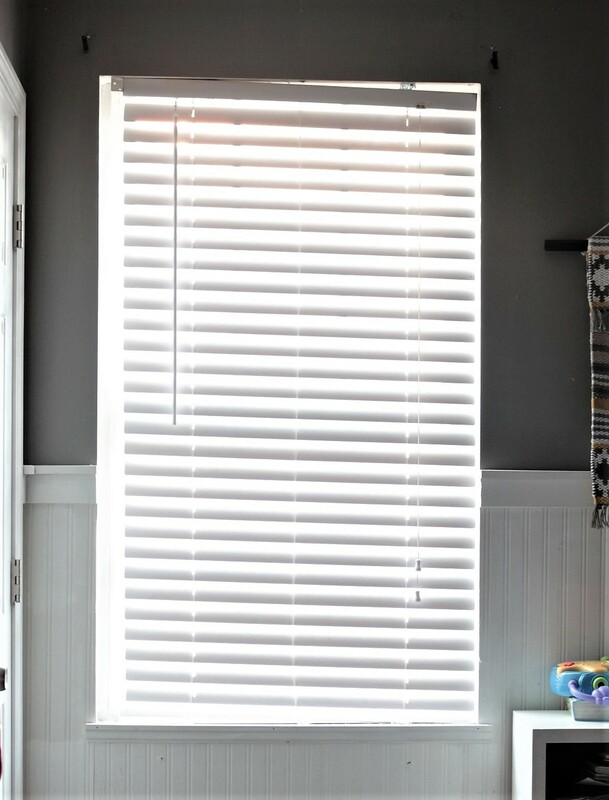 The Premier Flat Sheer Shade is very secure and also kid friendly-my 8 year old is able to operate them easily. Overall, I'm really pleased with these new shades (as is Cayden), they add a nice finished touch to the space! Carli I love the shades. I love natural light, but love privacy as well, so these are a great balance. Also loving the boys room!! So cute! Thanks Erin, I absolutely love these shades! 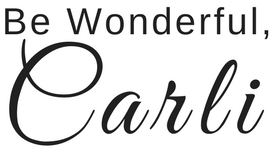 Carli I love your new shades! I laughed when I read that your hubby likes the house closed up like a fortress, cause my hubby is the same way. Lol! Can't wait to see more of your son's room, looks super cute. I love that these shades are kid friendly! I have a 8 year old too, so I think they would be perfect for her too! These shades are great, love the look of them too! So great for kids spaces. 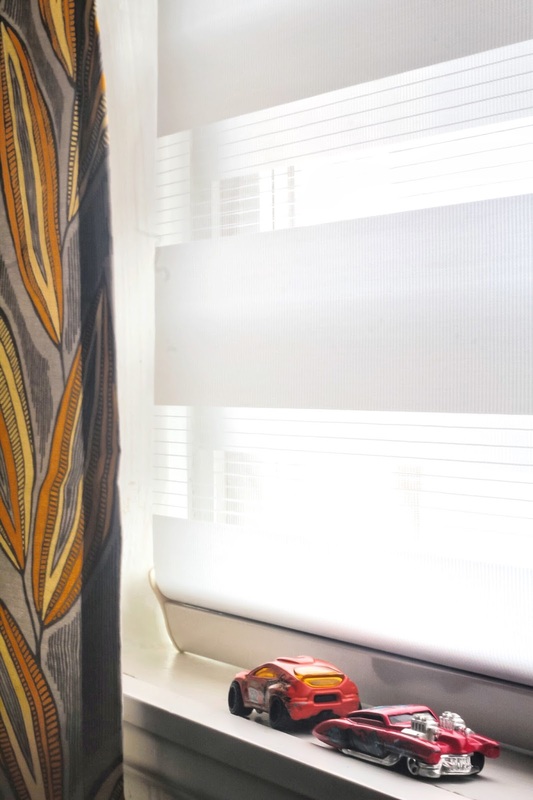 Love the shades, love the entire room actually, especially the curtains!! Thank you Whitney! Still have a few more things to do to finish, but I love the direction it's heading in.